If you’re like us at Findlay CDJR, your idea of a relaxing day out in the summer includes a trip to the local farmers market for fresh produce, baked goods, and handmade products. Located at 25600 S.W. 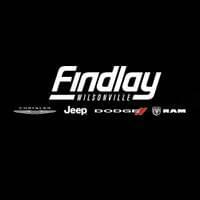 Parkway Center Drive, Findlay CDJR is proud to be a resident dealer of new Chrysler vehicles, as well as a sponsor of the Wilsonville Farmers Market. If you haven’t made it to the famers market yet, look below for five reasons why it’s worth your while! The best farmers markets always seem to be out of reach. If you’re a Wilsonville local, though, you’re in luck! Open until September 28, the Wilsonville Farmers Market is conveniently located in Sofia Park at 28836 Costa Circle W—a quick three-minute walk from Piccadilly Park and Wilsonville Palermo Park. From hummus and cupcakes to jerky and popcorn, the Wilsonville Farmers Market is the local hotspot for fresh specialty foods. The market also has specialty drink vendors like Arcane Cellars. Choose from a wide selection of Nil Organic Tea, and pair your choice with a bottle of Tbees Honey. The Wilsonville Farmers Market is also the place to be for specialty items—all of which are handmade by the vendors. Pick up a few fresh-baked dog treats made from quality ingredients, handcrafted candles, or carefully blended bath and body products. The market celebrates the quality of local foods and beverages, as well as everyday care and lifestyle products. Every year, the Wilsonville Farmers Market hosts a 14-week concert series. Local musicians book spots in the performance lineup in advance, entertaining vendors and shoppers throughout the summer. You’ll hear music from some of Wilsonville’s most talented singers and bands while you browse specialty items and fresh produce. Last but not least is Market Pantry—a food relief program arranged by the Wilsonville Famers Market to help nearby families obtain healthy foods. The program also provides free nutritional education, EBT/SNAP benefits for eligible applicants, and much more. If you’re interested in volunteering your time or donating to a good cause, why not start here? We’re Your Trusted Wilsonville Dealer! Findlay CDJR is your source for the latest news on happenings and hotspots around Wilsonville, OR. As a local, full-service dealer, nothing pleases us more than helping to bring our community closer together, whether through high-quality auto service or community-based sponsorships. If you have questions for our team, feel free to contact us at (503) 498-6637!